Fear is written in the deepest layer of our DNA. You can’t run away from it. You can’t escape it. It’s so pervasive that plenty of people try to exorcise the demon. Religions, philosophies, advertisements, motivational speakers… They all tell you if you make the jump and follow their cure, you’ll no longer have anything to fear. They tell you that there are no monsters hiding under your bed. They promise you safety from everything you fear. They promise you a sense of empowerment. They promise you victory against all odds. The reality is that they are trying to sell you something. The monster is indeed under your bed, after all. The reality is that you have every good reason to be afraid, because everything you fear is on your tracks right now, and will eventually catch up to you and destroy everything you loved and everything you are. Welcome to the world, motherfuckers. Because being scared doesn’t help you. Reality is uglier and harsher than anything we like to admit to ourselves, and yet it’s pointless to be scared since your fear will not protect you. Fear is only useful if it alerts you of a danger you can avoid, but if there’s no possible way to avoid it, if it’s inevitable that it’ll crush you no matter how hard you fight, then what’s the point of being afraid? If you have no hope of survival, what’s left to be afraid of? The only thing you’ll succeed in doing is in spoiling this very second when the forces that will destroy you haven’t stepped onto the stage yet. Yes, you will not get out of here alive. But so what? All the more reason to celebrate right here and right now. Let’s pop the champagne before all hell breaks loose. Squeeze every last ounce of orgasmic ecstasy from the present moment. And when the monster finally climbs out from under your bed, at least you’ll have a good reason to smile before he devours you. You are already dead. Let’s have a party in the meantime. 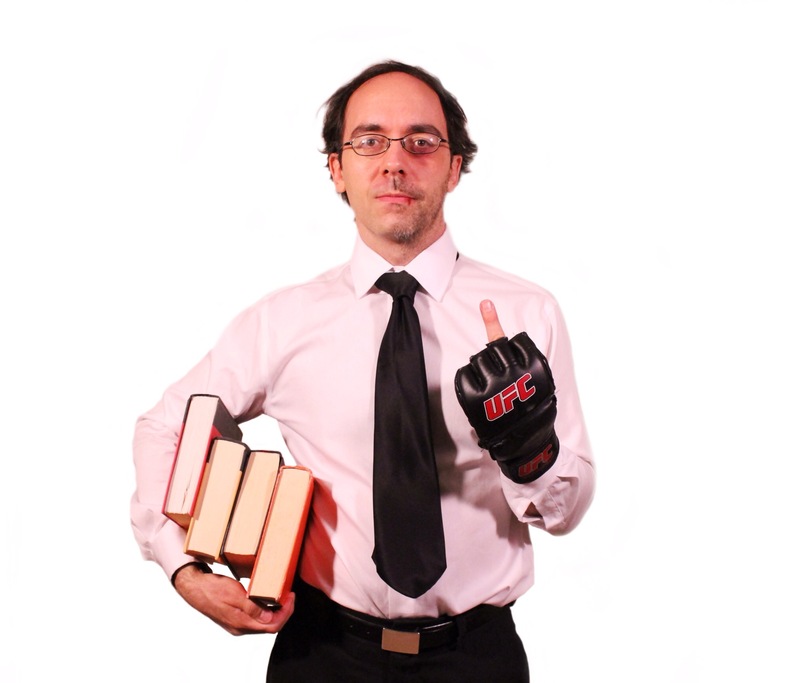 Author: Daniele Bolelli is a writer, martial artist, university professor, and podcaster. He was born in Italy and currently lives in Los Angeles. This essay was originally posted at DanieleBolelli.Com and reposted on this site with the author’s written consent. Reblogged this on Under Construction. You lose what life has to offer. Consider it.